In the Alamance plaza Shopping Center next to the Dominos. 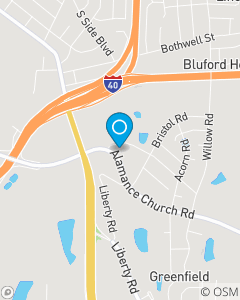 We focus on Auto Insurance, Home Insurance, Life Insurance and Health Insurance throughout the Greensboro, NC area including surrounding Triad cities. In a world that is everchanging and busy, it is our aim to ease the stress that can come with Insurance by putting a premium on personalized service. We believe people prefer to have someone they know to help guide them through both good and bad times. It is this belief that stands behind everything we do. We have a great team of licensed individuals ready to assist with all of your insurance and financial services needs. Give us a call!